was formed during the 1970's by a group of experts across several fields with the aim to revolutionise the agricultural technology. Today, General Hydroponics continues it's innovative approach with the constant research and development of new products and refinement of existing products. 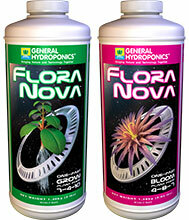 The General Hydroponics product range covers all aspects of plant nutrition and health.